During 1988 Dr. Peter Edvi together with some friends started to help refugees from the deceasing communist German Democratic Republic who via Budapest were seeking for personal freedom in the West. For more than one year a merely loose alliance of highly motivated volunteers, this group rapidly became famous for its success. Thus, they also received information about the hair-raising conditions in Rumanian orphanages. For the first time after the collapse of the totalitarian Rumanian regime Dr. Edvi and his friend Dr. László Kövér were given the opportunity during the 1989 Christmas-days to convince themselves of the saddening truth right at the scene, to obtain first-hand evidence and to verify reports by their Transylvanian friends. All efforts to render help on a private basis proved completely insufficient. It was absolutely necessary to turn to the public and to organize help; hence the International Children's Safety Service was founded in Hanover/Germany. The members initiated a comprehensive press-coverage in March 1990; together with moving photos of the misery of the institutionalised Rumanian children the articles went around the world and produced a wave of international help. In Budapest, too, volunteers became organised. In a historic hour, the constituting session of the first free-elected Hungarian Parliament on May 2, 1990, a group of politicians decided during a session-break to found a charity organisation to help children beyond all political, religious and nationality-related aims. Among the founding-members were well-known politicians as Dr. Viktor Orbán, Prime Minister of Hungary, Dr. László Kövér, speaker of the National Assembly of Hungary, Dr. Gábor Demszky, Budapest former Chief Mayor and Dr. Gábor Fodor, former Minister of Education and later Environmental Protection. ICSS patrons are Dr. Heinz Fischer, former president of the Republic of Austria, Dr. János Áder, President of Hungary, Dr. László Sólyom, former president of the Hungarian Republic and Horst Köhler, former president of the Federal Republic of Germany. was recognised under the taxation-No. APEH 7120286376. The statutes and articles postulate the priority of giving financial, social and health-related support and subsistence to children in need, irrespectively of national, political or religious affiliation. After a modification of the statutes the organisation is directed by a nine-member chair. The two co-presidents Dr. László Kövér and Dr. Peter Edvi have five deputies: Mr. Attila Antalóczy, Dr. László Csáky, Dr. Sándor Csányi, Dr. Gábor Demszky, Mr. Péter Harrach, Mr. Gábor Kuncze and as secretary Péter Fáth. ICSS currently has 317 members from all parts of society. 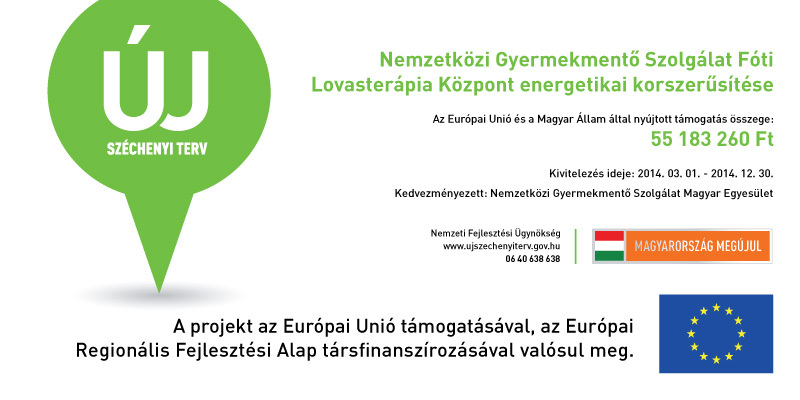 Among them we find members of the actual Hungarian government as well as of the former governments, e.g. the former Minister of the Interior Mr. Gábor Kuncze, many former ministers, leading members of all political parties elected into the Hungarian Parliament, moreover famous Hungarian artists as well as professors of medicine and therapeutic pedagogy. In order to co-ordinate the international charitable work, another non-profit organisation, the ICSS Foundation was registered by the Budapest civil court under the ref. No. 9.PK.66561/2. on October 16, 1991, and it was granted the status of a charity under the taxation-No. APEH 7120773904. Since then Dr. Peter Edvi as president and the other four board members Erik Bánki, Dr. László Madarász, Károly Szadai, Dr. József Szájer have managed this foundation. On January 4, 1991, the independent organisation "International Children's Safety Service in Rumania" was founded. It was admitted and registered by the civil court of Timişoara/Rumania under the ref. No. 35/PJ/1995. Its non-profit status was acknowledged by the district authorities under ref. No. SC096003564. The Rumanian ICSS closely co-operates in relief actions with its Hungarian sister organisation. For six years the German ICSS in Hanover had worked as a non-registered association with legal capacity according to German laws it was founded anew in September 1996 in order to obtain its registration which was done by the Hanover civil court under ref. No. 7155 on December 23, 1996. It was granted the non-profit status by the Hanover-Nord revenue-office under the taxation-No. 2520640361 on March 6, 1997. The founding of other independent organisations in compliance with the ICSS ideas, functions and missions has been envisaged for Austria, Belgium, Luxemburg, the Netherlands, and the US. The ICSS is financed in small parts by member fees, mostly however by honorary activities and donations. Single projects are sponsored by companies, banks, artists and sportsmen. Fundraising is regularly done at benefit-events: in his life on the occasion of his birthday pianist Zoltán Kocsis - well known beyond Hungary - recited each year at the Budapest Art Center. At Christmas-time there is a performance for the benefit of ICSS on the Hungarian State Opera stages or in the Comic Theatre of Budapest. In March 1995, ICSS for the first time organised the 'Ball of Balls' in the Budapest Museum of Fine Arts. In financial co-operation with the city of Budapest ICSS organises the annual events with several hundred thousand participants on the occasion of the International Children’s Day. It also organises annual Christmas celebrations for 4.000 to 5.000 children of low income families and special gift-actions for some 300 other. Despite its nation-wide activities, among them a branch office in the town of Pécs and Pápa, ICSS limits its number of staff to the minimum. Therefore it can guarantee that 95% of its receipts are employed for the persons in need whereas only 5 % of the receipts are used for organisation and management. The annual audits are open to everyone and they are published. We are grateful for all support. Please support the International Children's Safety Service Hungarian Association with your 1%. The conference focuses on safer Internet usage in even years with the title of „The impact of the Internet on children and youth” with the support of the European Union’s Safer Internet Programme. In odd years the conference runs with the title „The impact of the media on children and youth” supported by NMHH, the National Media and Communications Authority. The Vth Internet Conference took place on 2d of October 2018. VIII. Gyermek és Ifjúsági Országgyűlés - 2018.10.17.